Ideal for precision cutting and trimming of paper and other light-weight materials; these carbon steel blades create elaborate detailed cuts. 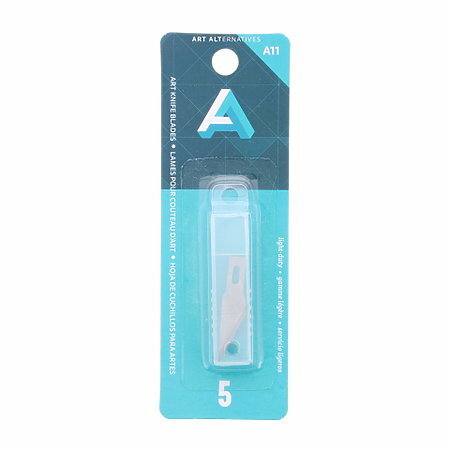 Available in a package of five blades in a re-usable plastic container that safely stores and protects blades (AA17981). Also available in a bulk package of 100 blades in a re-usable, matchbox-style case (AA17981100). For use with AA17960, AA17962 and similar style knives.